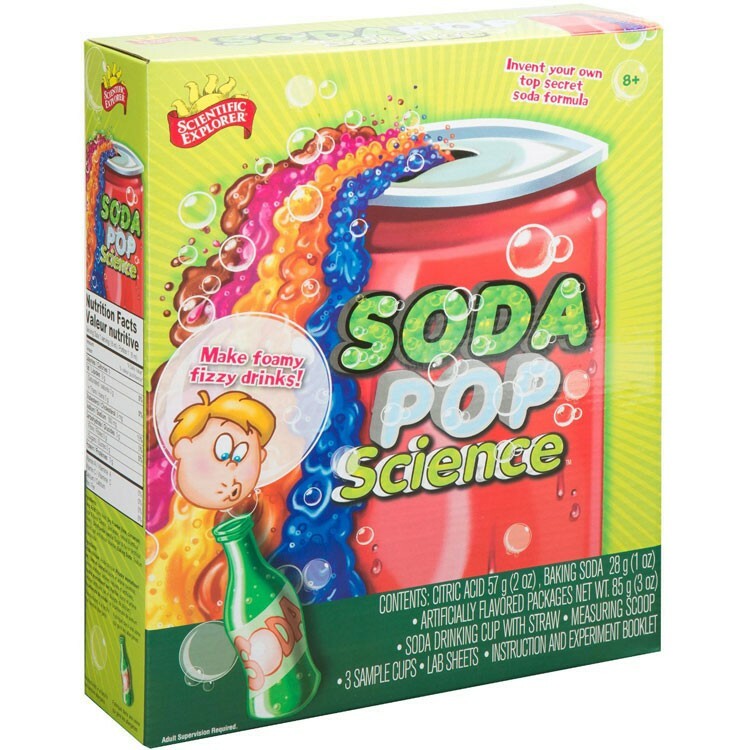 Create your own flavors of soda and make wild fizzy drinks with fun Soda Pop Science kit! 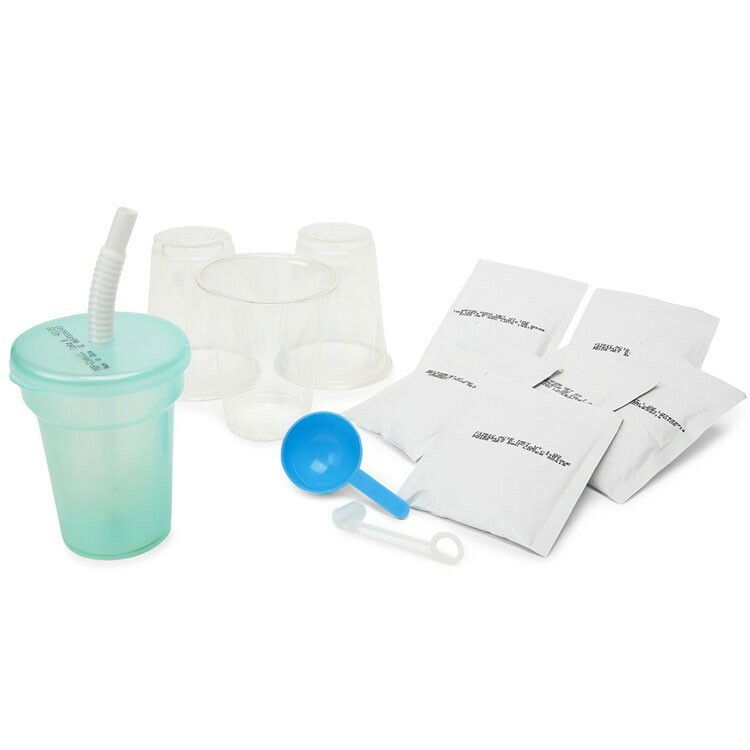 Create your own flavors of soda! 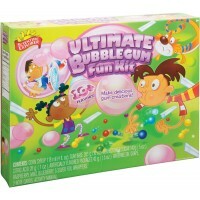 Make wild fizzy drinks! 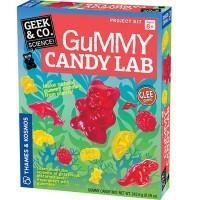 Experiment with exotic flavors and colors! 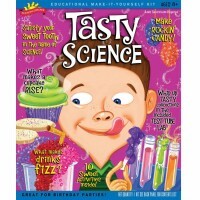 Make super sour drinks! 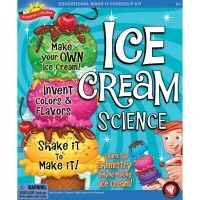 Invent your own soda formula! 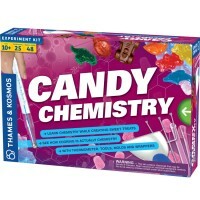 You can do these and many other activities in the Soda Pop Food Science Kit by Scientific Explorer. 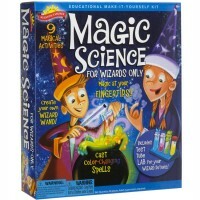 This kids fun science toy allows you to find out the secrets of soda-making. 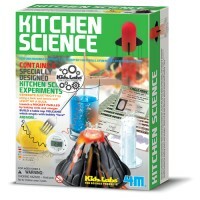 With this kitchen chemistry hands-on set you'll discover how to make soda, give it flavor, and then perform experiments with food ingredients. When you are done making your bubbly soda, create a jingle, a name, and even a logo just like the big soda companies do. 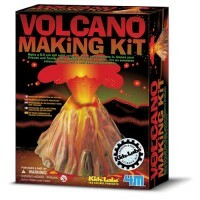 This science kit from Educational Toys Planet includes everything you need to have fun with pop and instruction manual. 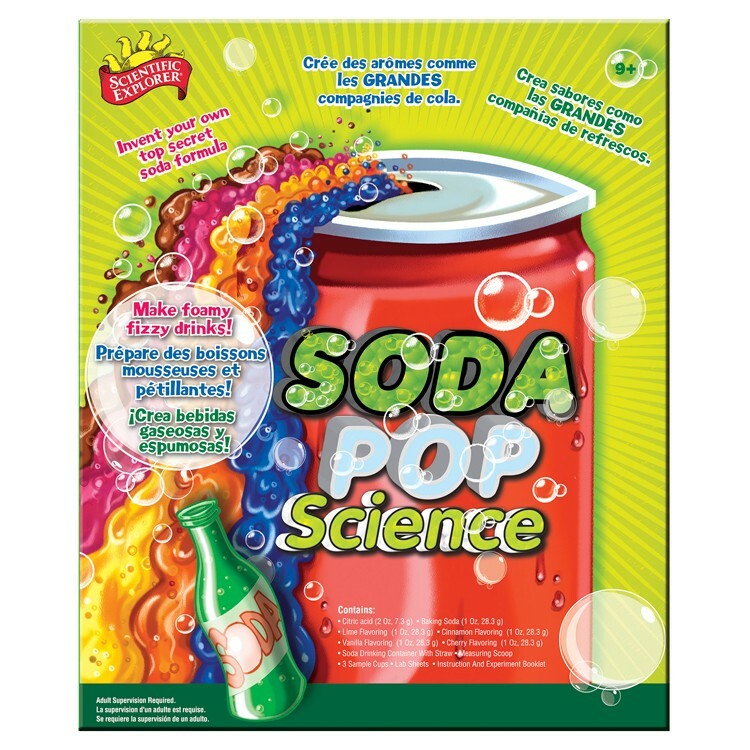 Soda Pop Science set comes with citric acid, baking soda, measuring scoops, mixing cups, drinking cup, straw, and 4 flavor powders (lime, cinnamon, vanilla and cherry). 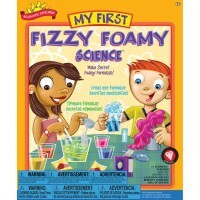 Soda Pop Food Science Kit is created in collaboration with the early learning experts at UC Berkeley GEMS. 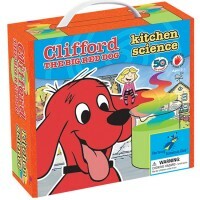 Dimensions of package 9.6" x 2.6" x 11.5"
Write your own review of Soda Pop Food Science Kit.